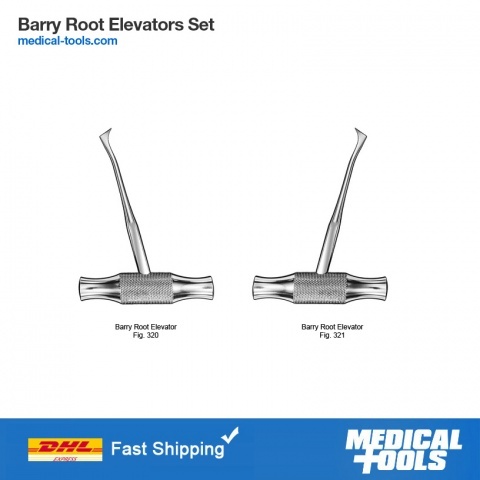 Dental Root elevators are used to loosen the teeth from periodontal ligaments. 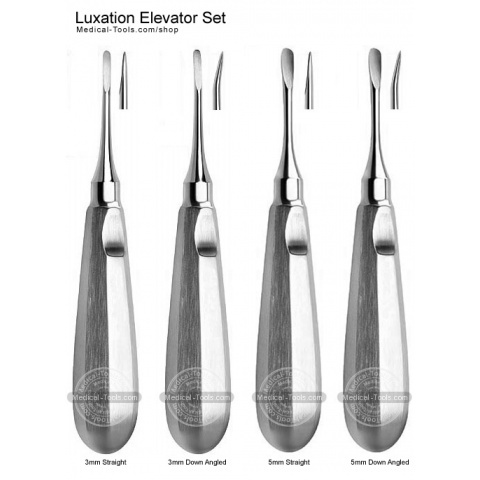 Elevators are also used to elevate the teeth in the socket prior to extraction. Root elevators consist of a handle, a shank, and a tip. 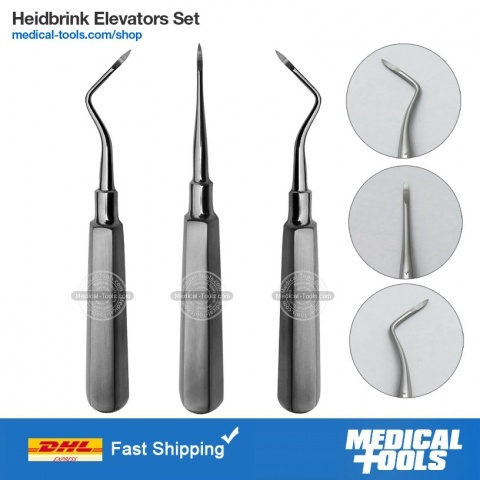 The handle is used to hold the tool, elevators have standard, stubby or thin handles. 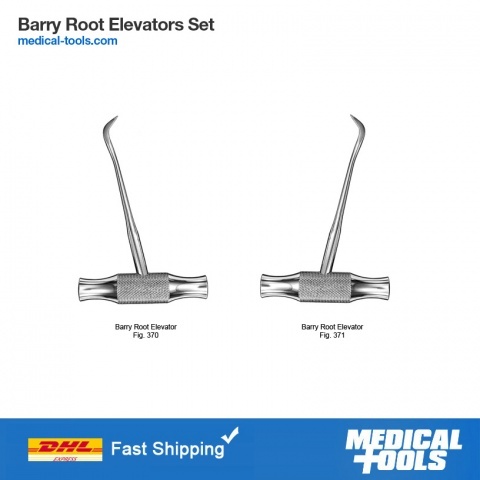 Medical Tools elevator handles are manufactured from non-magnet stainless steel and never rust. The shank can be straight or angled to access specific area. Most of the elevators have sharp thin tip used to cut periodontal ligaments and to create space in the adjacent tissue and teeth to reduce trauma. 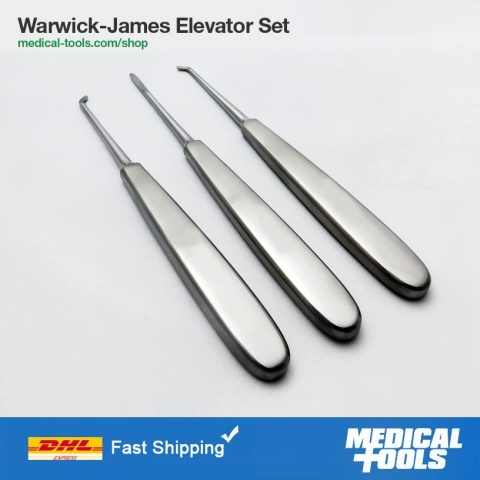 Medical Tools elevators have French stainless-steel tips. Our elevators last longer without getting blunt.